I'm looking to add a few ticket partners this season for my great left field bleacher seats. These seats are located in Row 5 with a great view of the field. The seats are situated such that you generally avoid getting too much or too little sun during the games. 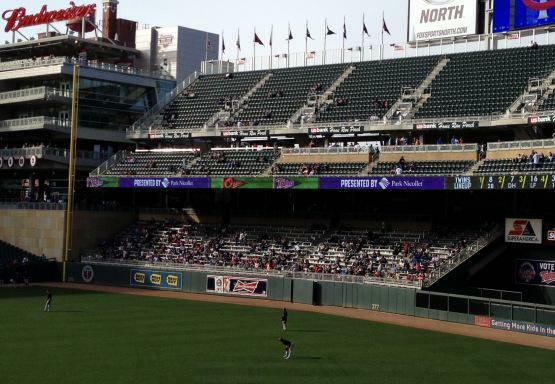 The left field bleachers are the place to be as they are the area where most home runs are hit at Target Field. Join an easy going group and enjoy a few games at the greatest ballpark, Target Field.